Spasso wrote: Your comments about sludge is concerning. 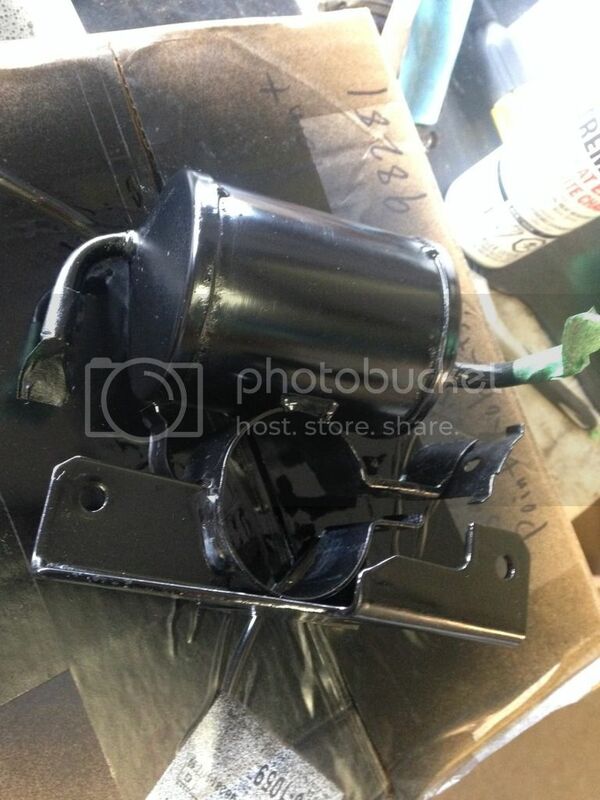 If you can, try to flush all the oil passages you can before reassembly. Make sure your spray bar isn't plugged. 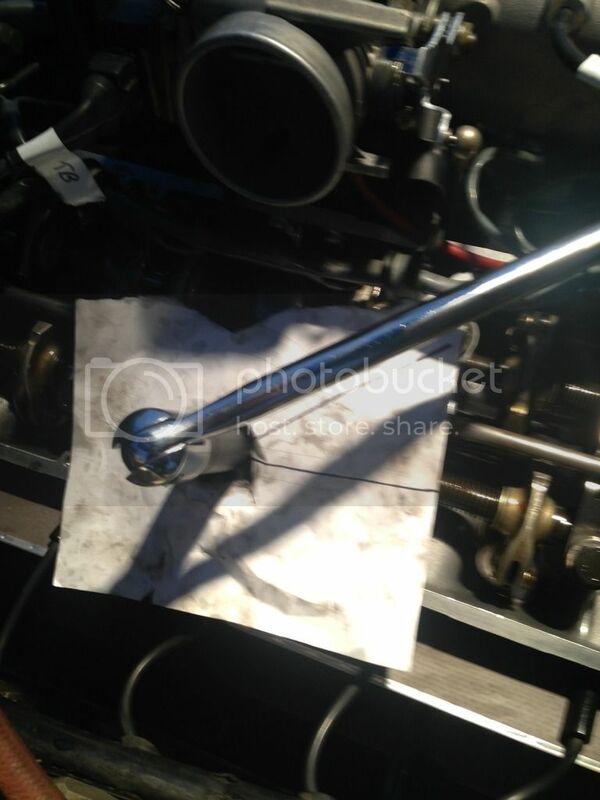 On first start up I would run the engine just long enough to break the cam in , about 20 or 30 minutes and immediately drain the oil. Drain it again after another hour of breaking in the rings, (if you do them). Change the filter each time. All good advise. I've been soaking and cleaning the oilbar for a while. Im going to try to pour oil into the oilpan ( its empty now). Then use a long thin brush shoved into the drain hole and repeatedly scrub and flush out the pan to try to get as much gunk out of it before the start up. I have enough oil and filters for 5 changes that I plan to do really quickly with short drive between changes. I was also told by the machinist that did the head to put 1 liter of auto transmission fluid in and drive for a bit then drain. That oil has detergent in it that will clean out. Not sure if I'll do that. Bobbo, This is correct but its just the head gasket though. The number I've quoted is the head gasket set. I need to replace them all. Some of them were not too bad but some were shot so I got the set. I considered getting the genuine head gasket and aftermarket for the rest but decided do go this route. Plus like I said no one had elring that I could find. Pelican has some stuff listed in their online catalog but when you order they cant get it. I found a few of the online parts places did that. They say its a certain price but if you order it, nope! I just talked to my brother about head gasket bore size accuracies and relation to the bore sizes on the engine blocks. 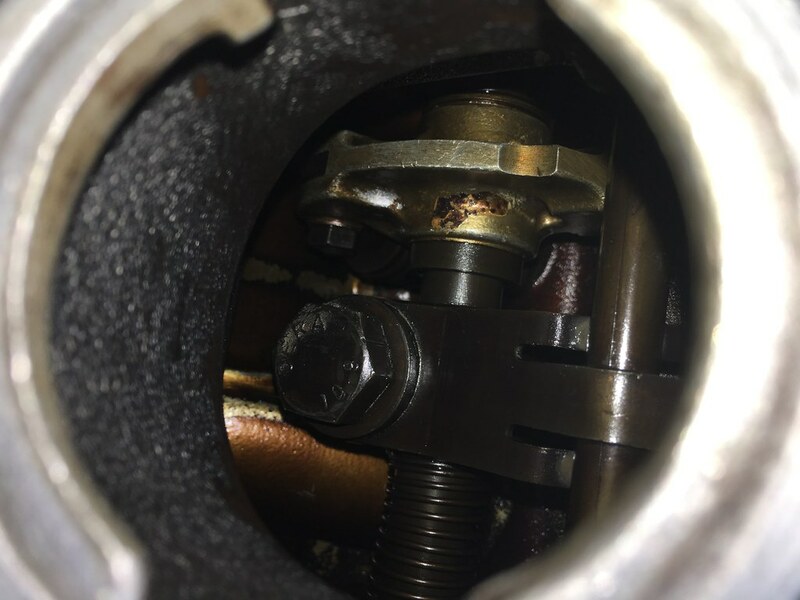 He says generally the diameters of the head gasket bores are larger than the engine block diameters, up to a .020 or .030 inch to allow for over boring the of the cylinders, if and when. He said any overhang of the head gasket into the cylinder bore combustion chamber would destroy them. Anyways, the engine actually fired right up after two attempts. It only took about a minute to get it running. Prior to starting the engine I also removed the fuel pump assembly and replaced the pump with a tre performance pump , filter,all hoses and cleaned and painted the whole thing. I figured I would run the pump a bit to test it and flush out all the lines going to the engine and back before I started the engine. And nothing happened. 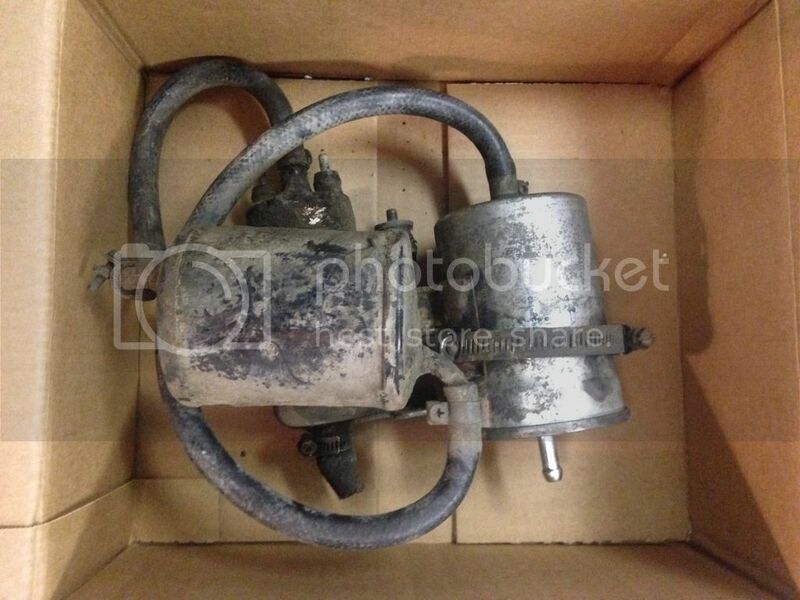 The NOS pump I bought on ebay from someone who had it in his garage for a couple years was inop. It was $40, I figured great, its cheaper than a new one. So I tested the old one and it still works so I threw that one back in. It worked perfectly. The seller on ebay refunded my money no problem. The fear of negative feedback is a powerful thing I'll order a new one later. I plan on replacing the intank walbro I put in my 87 as it is whiney as hell. 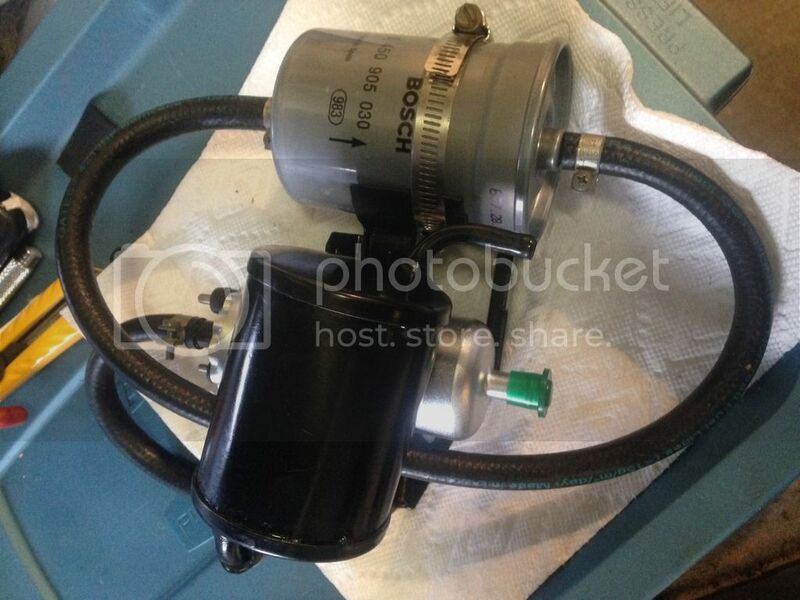 Maybe the tre pumps are better ( I hope) I don't have good luck with fuel pumps. I put a bosch main pump in my 87 and it only lasted about a year then started to sound like there was rocks in it. Then I realized the intank was inop so I replaced it all with a walbro intank pump only. It was fine and now a few years later its noisy. One day I'm just going to get a BMW main and intank pump at the same time. Pay the big $$ and hopefully it will work for another 35 years. So the engine starts up great, I run it for a few minutes and peek in the oil cap. It doesnt look like there is oil coming out the spray bar. I took the valve cover off and run the engine with no cover and yes theres lots of oil coming out. I have a video of this which is kind of interesting but of course shitbucket doesn't like my video. I've read at idle its just a drip but it was coming out in a nice clean stream on all six holes.https://vimeo.com/208419879/description I figured considering how dirty the engine was it would be gross dark oil but I did run the engine a bit with the ignition disconnected too get the oil pump primed and pumping. So thats all good. The idle was way high so I turned the idle speed way down. I take the car for a little drive and it will only go about 4 miles an hour. I 'm wondering if maybe I have the timing chain messed up. Then I notice the temp gauge is going up quick almost to the red line so I shut it down quick. The radiator isn't warm but the engine is hot. When I go to remove the tstat cover I snap a bolt head right off first try. Haha. So I take off the tstat housing and stick a screwdriver in the housing and poke around at the tstat. It pops open! so I guess it was stuck closed. Not sure. I pried at it a bit to make sure it stays in the open position, and put it all back together. I've ordered a new tstat, housing, and cover as they all look like crap. The tstat cover is $83, Rip off! I had to go buy a timing light as I've never had to set the timing on anything before. How archaic! I got a cheap light and messed around for a long time with it. Revving the engine to 2200 with the vacuum hoses removed and plugged. I gave up a few times. I just couldn't see any dot or bubble on the flywheel , only rusty metal. Finally on the 10th time I see the bubble com up into the window and hover in the right spot. It still idles high and I have the idle adjustment screw in all the way, weird. I'll look into that. After that I drained the oil, Yuck, a lot of sludge and what looks like the milkshake of water comes out. There is also what looks like moisture on the inside of the oil cap. It makes me worried that the HG is leaking or the block is cracked or something else is leaking. The car drives good lots of power, I get it up into 4th gear. The transmission whines when I let off the gas. Doesn't sound great. But its running. I'll be changing the oil in the trans and diff next. After more drives around and checking the valve adjustment I've changed the oil 2 more times and its gotten cleaner everytime. The last time it just looked dirty but not gross. I plan to keep changing the oil until it looks good. I've got enough oil and filters for five more changes and if I have to I'll get more. The top of the head and valves etc still look mint so its not pumping crap up there at least. I'm pretty sure after a few more at it will start looking like a regular old oil change. One other problem I had was with the alternator that I had rebuilt. I installed the rebuilt alternator but the battery keep dying everytime I ran the car for while. I measured the batt while the car was running and got 12.44 volts. After a few more tests in the bentley I figured the alternator was no good. I did have a spare regulator I got from the PO but that didn't make any difference. Back to the alternator shop and they test it and sure enough a diode was not connected properly. So they redo it with a newer capacitor and also a 14.5 volt regulator instead of the stock 14.1 volt. We'll see if it working soon. I haven't installed it yet. My family is heading to New York tonight. Our flight was delayed by 12 hrs because there is a blizzard going to hit that area. Sounds like fun. I'll be back at it in 6 days. Also your car shouldn't have an in tank pump. Mine doesn't-- external only and a fuel sender. Tom, thx for the comments. I was actually referring to the 87 car when I made that comment about the 2 fuel pump replacement. I should probably keep the discussion to the one car to avoid confusion. Are the headbolts single use (turn to torque?) or reusable? 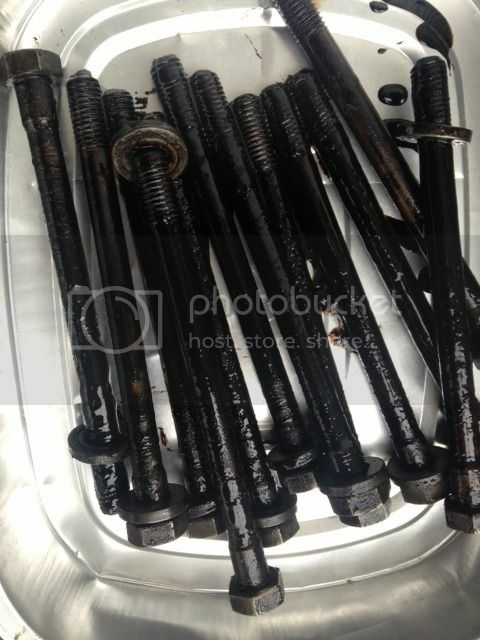 According to the BMW TIS, "clean head bolts" and reuse. In other words, they are not "torque to yield" bolts, and can be reused. I found many many posts on the web that insisted BMW used "torque to yield" bolts and that you must replace head bolts every time. but everything official etc in manuals stated the opposite. I reused the bolts that came out of my parts b28 as they were way cleaner. I didn't feel like cleaning those gross ones. Not sure why some many people insist on replacing them. Maybe if I was doing a total rebuild on a pristine engine I would but not now. The newer BMW engines use torque-to-yield bolts. Our older engines don't. Up to about the introduction of the M42 and M50 they had all been reusable, but the newer multi-cam engines all have used the one-time-use bolts. The BMW shop manuals and Bentley manuals for late model 318 E30s, E36s and E34s all say the bolts must be discarded after use. You literally twist them 90° in two steps after reaching the final torque. I still don't understand what the advantage of torque-to-yield bolts is. I still don't understand what the advantage of torque-to-yield bolts is. So since my last post I really haven't done any work on the car. Both my BMWs are in storage in different underground parking lots. My 20 years of accumulated crap and car parts have been moved into a steel storage container in my yard. 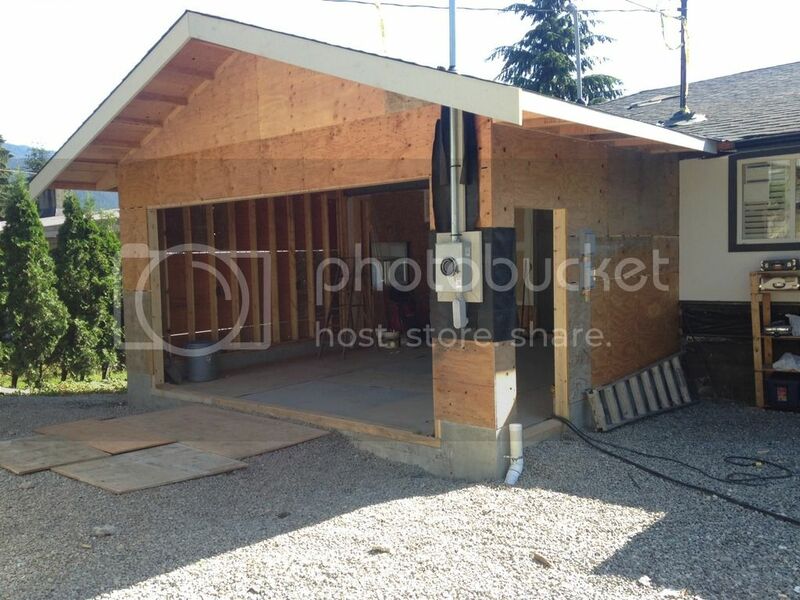 The garage is coming along, with the structure basically done. Its going to be 20' x 23' long. So 460 sq feet looks huge compared to that awful tent I've been if for the last few years. 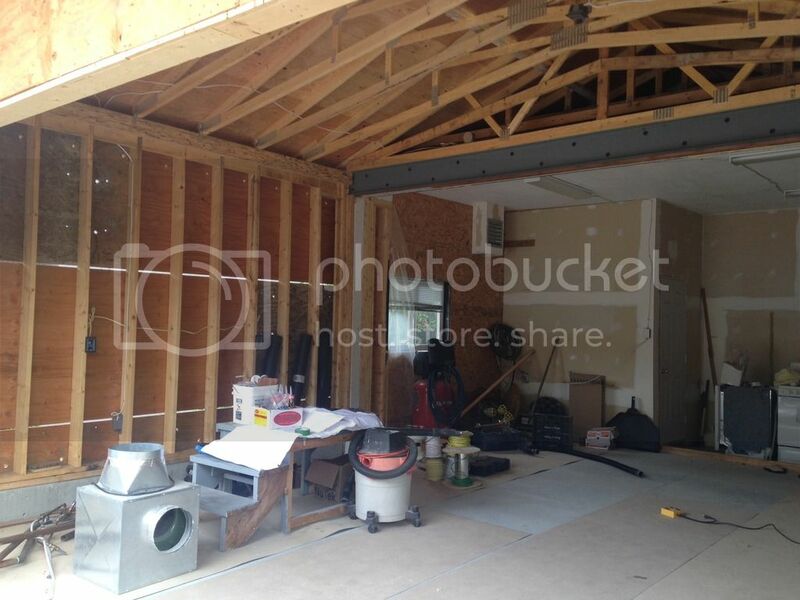 In the new addition part of the garage we used scissor trusses to have a vaulted ceiling to try to get enough room to be able to stand under the car when its raised up. I figure I'll have 6'4" most parts of the underside of the car, but probably still hit the bottom of the diff etc. This is the lift I found that is both low enough and has a width that will let me park the other car beside it. Most lifts I've seen on the market are either too high or too wide, or both. Of course this is a cheap chinese made product, you get what you pay for.I hope its not too much of a pile of crap. Its 8000lb cap. 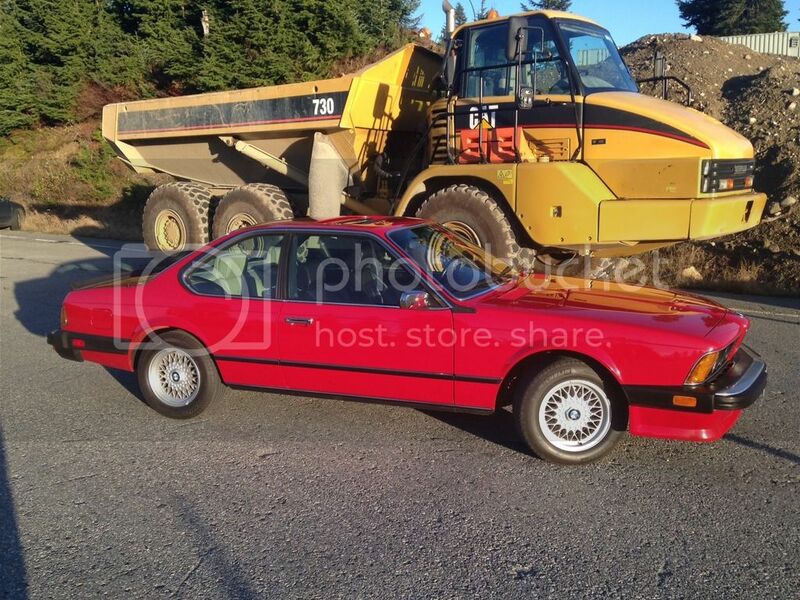 and the cars only 3400lb so hopefully it can handle it. I've looked at a few used lifts and they have been really well built but were too high or wide to work. If anyone knows of any other product out there that will work let me know. I figure 11 feet is the widest I would want to go so can still walk between the two cars and lift. The garage has new steel channel beams sandwiching the old wood beam for strength and the scissor trusses for extra height. Also the slab is 8" thick although the lift requires only 4". Heres the garage so far, the addition is 14' added on to my existing 11' garage. I did have a nice large double carport when we first bought this house but we enclosed the carport and turned haft of it into a TV/family room years ago before I caught the BMW sickness So now I need to add on. These are also for the 87. I've never really liked gold wheels that much but after seeing someone else on here with a Zinno e24 with gold RS 005s I changed my mind. 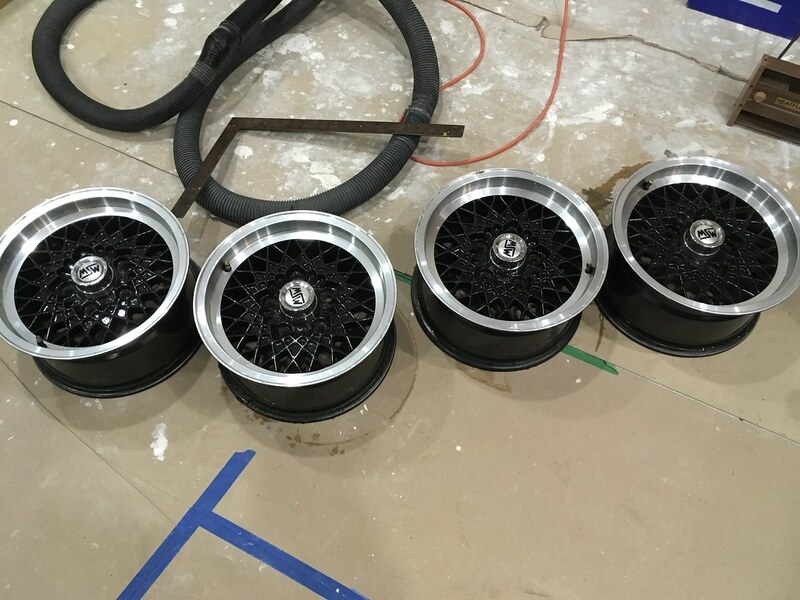 Unfortunately when they arrived one of the wheels had a 5 1/2 barrel replacing the correct 5 " The seller claims not to have noticed and has sent me a 5" replacement. Still quite a bit of messing around emailing etc. So while I'm taking that wheel apart I think I may do a few of them. A couple have some corrosion on the lips. The centers are pretty good so I'll probably leave them. I got them without tires so thats on the never ending list now as well. 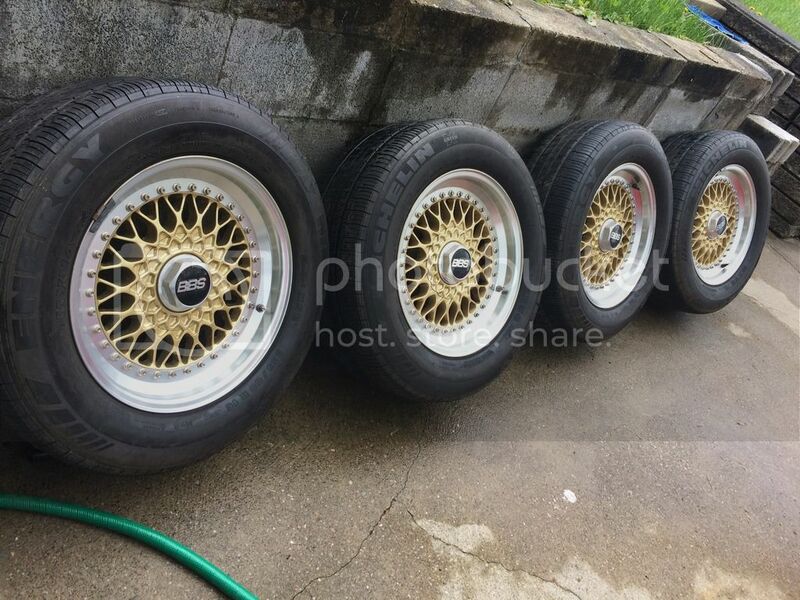 These are my dream wheels for the car so I'm pretty happy, I've missed a few nice sets of these in the past and just happened to see them on Facebook at the right time. So nothing to report on the car right now but lots happening around here. Going to be glad to start work soon on all the car stuff. Well I have done nothing to this car since my last post. 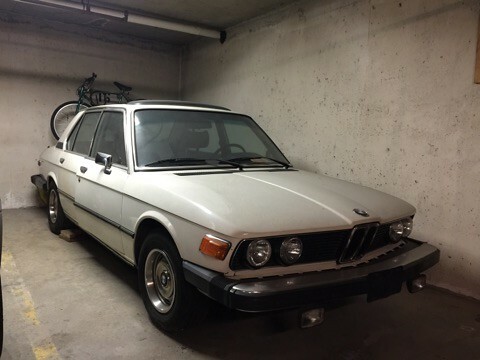 Its been sitting in an underground till about two weeks ago till I lost my spot and had to move it to a friends carport ( sucker). I put a battery in it and it started like a daily. 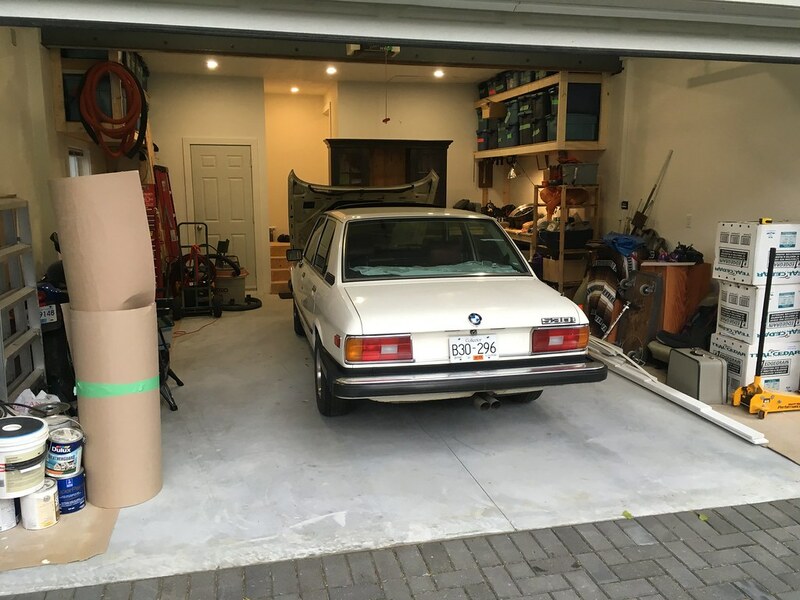 Ran it around the neighbourhood uninsured for a while and its parked again waiting to be moved into my garage which still isn't done but getting closer. 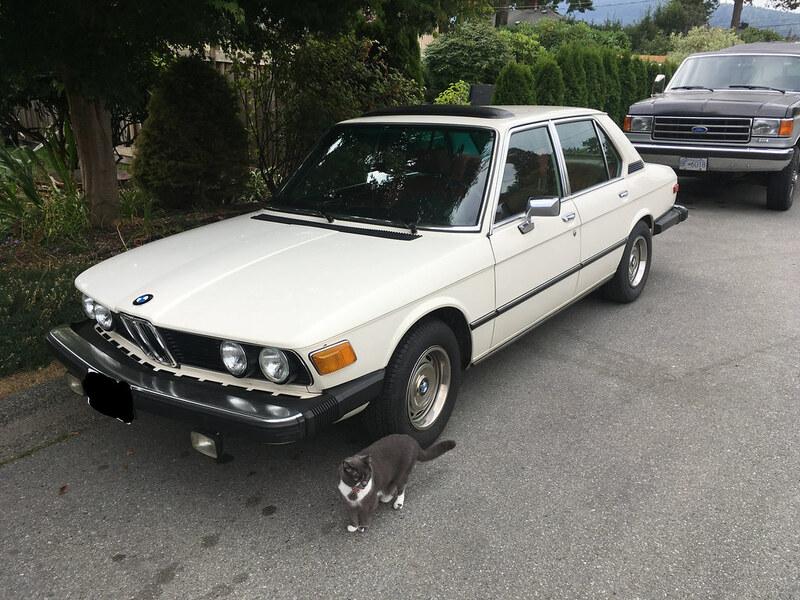 I also bought a 1977 530i last week thats in great shape but has been parked in an underground not running since 1989!!! Hahaha. My wife now knows she married an idiot. Too bad about the timing issue, what do you think went wrong? I'd be interested to know. 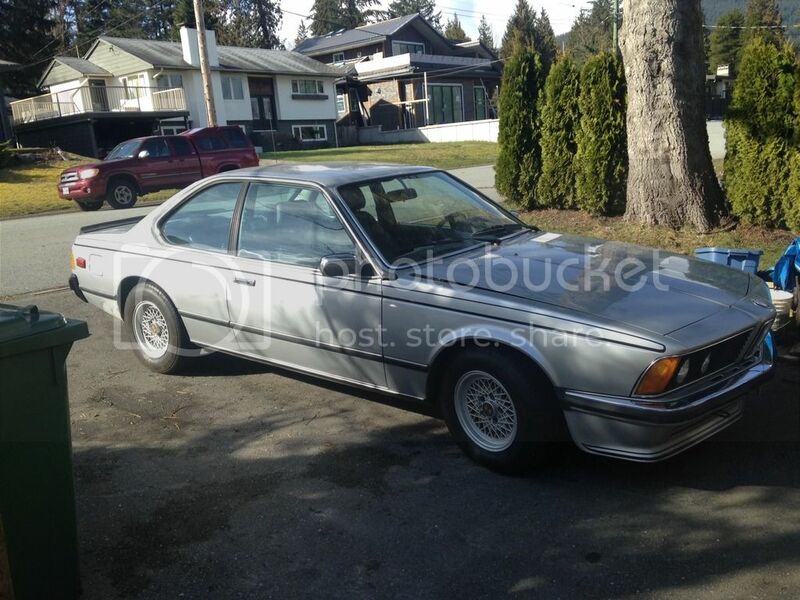 I also see you bought another e24! 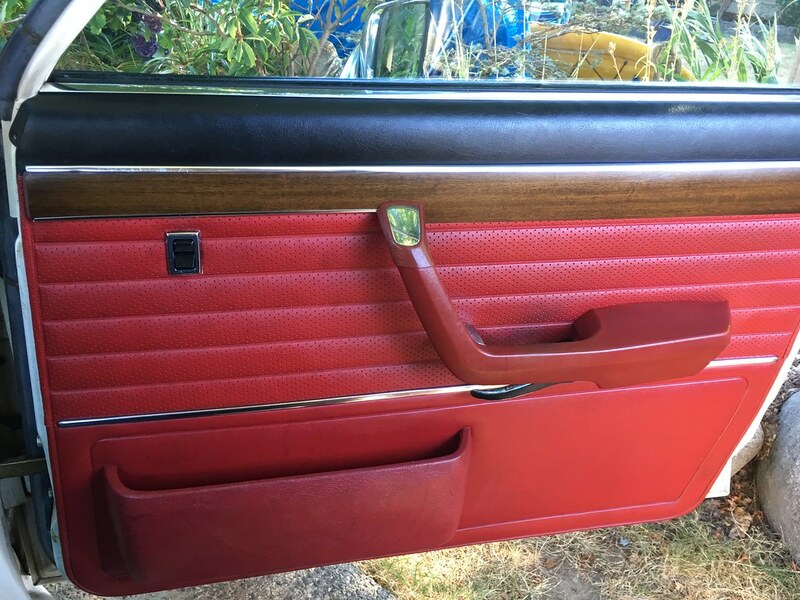 do tell, we need pics, hopefully you'll be starting a new project thread? 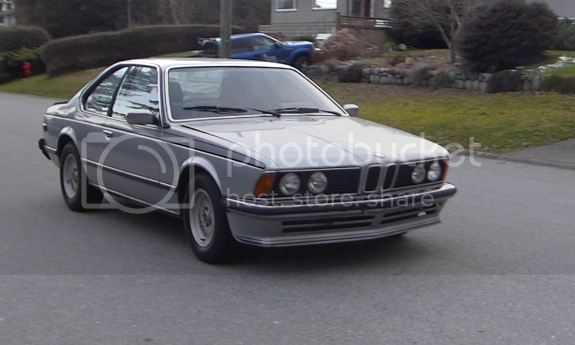 I just switched to Flickr and haven't figured out how to post pics yet, but I will of the new e12. I have tried every which way I can think of but can't post a photo from Flickr into my posting. I an get a link or it just says image but no pic appears. can someone who uses Flickr tell me what they are doing? I'm missing something obvious. Give me a greasy old engine over this any day. 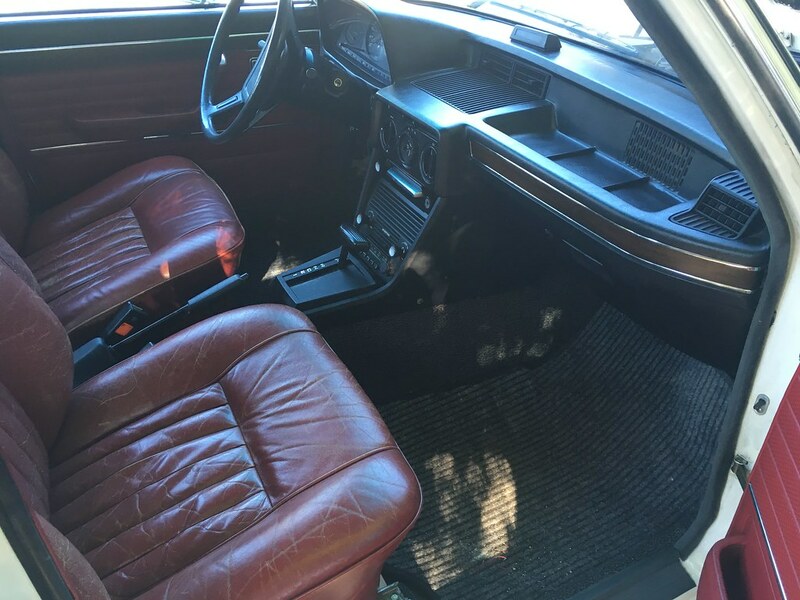 I was looking at the photos of your e24 with the original 14 inch Mahles . I still have the same OE wheels that came with mine and although running 16's now the photos have prompted me to refurb the 14's and have them for meetings where originality counts . Over here originality is a big thing and the measures taken to get it just right can only be admired. I'm very envious of the E12 , I love it . Thinking about a garage addition at my place but I know we are years away unfortunately. Ideally we were talking about making it a second level and master bedroom addition as well. I bet it is great to finally have that garage space. 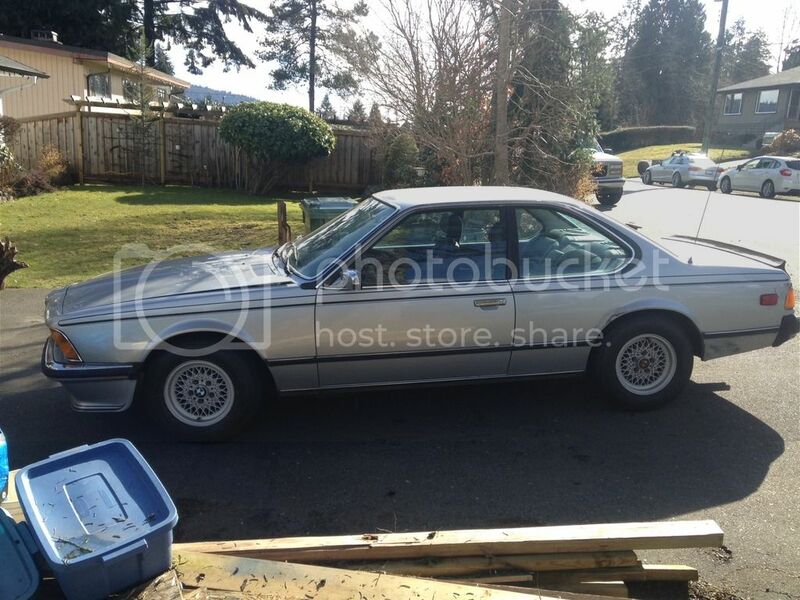 Don, I also got the original 14s with the e24 and I think they look fine on the car. The big drawback is tires. I had a quick look for tires online and all I found were touring tires. 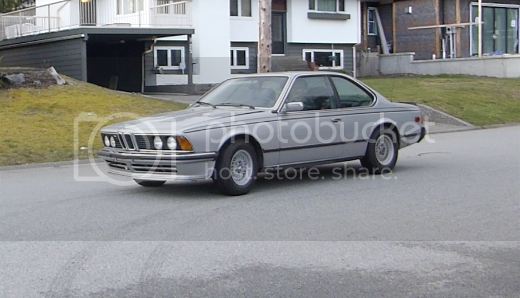 Honestly that e24 isn't really capable of much spirited driving until I really complete a lot more work anyways. Your right on the originality aspect, they came with 14s. Why not put them on sometimes. I have a few sets of wheels and plan on switching around on all the cars. The e12 really is in amazing shape I'm happy to have it. Underneath its dirty but mostly still has paint everywhere. Very little bit of surface rust. Tom, It is amazing to have the garage. After working in that tent all winter on the e24s head and taking breaks to sweep the snow off the roof so it wouldn't collapse on me its a big big change. The weather has really turned rotten here the last week. Three storms dumped a ton of rain here and I've been in working on the e12. 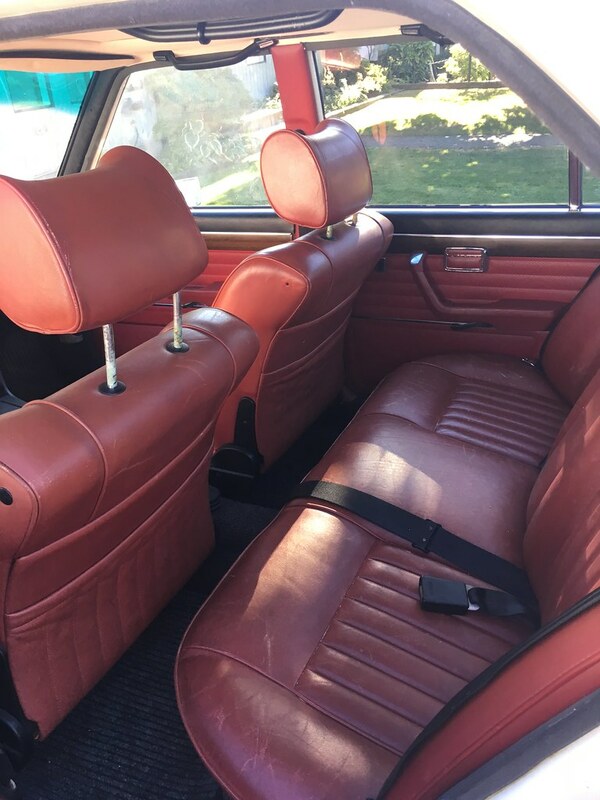 Warm, well lit, radio on, it really is a car guys dream come true. I still need to make a decision on a lift and order/ install it to complete the dream garage. That and organize ALL my crap, tools etc. The second level/ master bedroom idea sounds great. 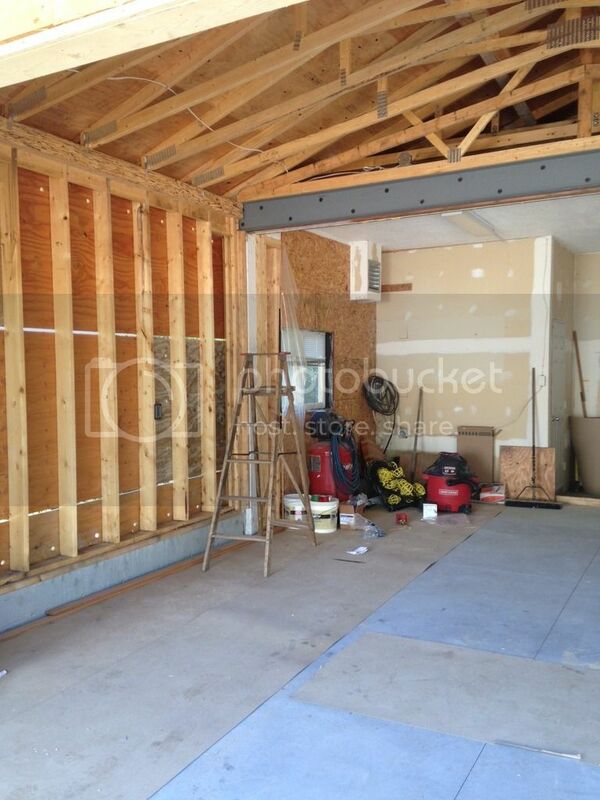 We have been planning this kitchen/garage reno for at least 15 years. In some ways I'm glad we waited, we really spent a long time planning etc and got what we wanted. It would have been nice to have it years ago as well though. Any major updates after over a year? ?